These place value task cards are the perfect way to engage students in review without worksheets. 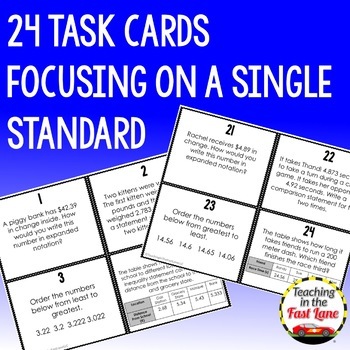 24 Task cards based on the 4th grade place value math standards. 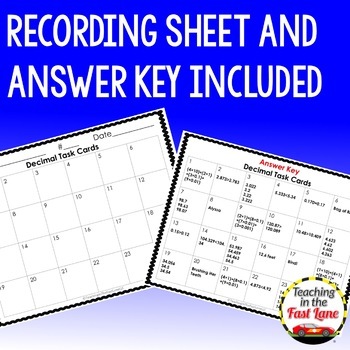 These task cards are TEKS based and great for review or assessment and can even be used to play a place value review game. 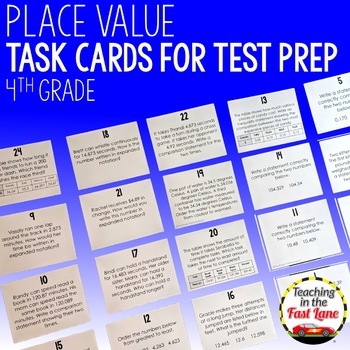 These task cards are a great way to review the 4th grade math standards for place value. Each task card has an open-ended question for students to answer. 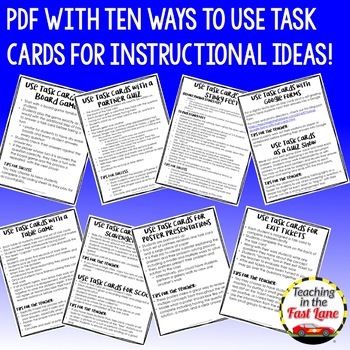 This set of task cards is based on the 4th grade math TEKS. When applicable I have also tagged the CCSS.